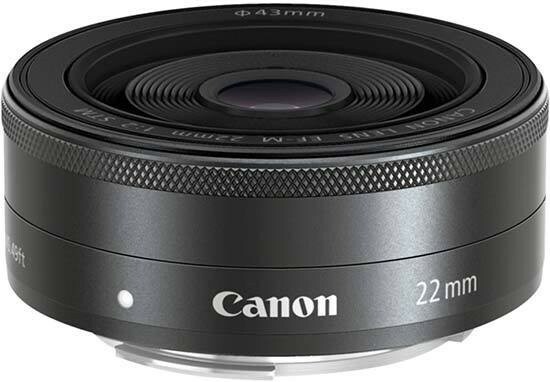 The Canon EF-M 22mm f/2 STM is a capable wide-angle pancake prime that will appeal most to travel and reportage photographers looking for a very lightweight and inconspicuous lens. The Canon EF-M 22mm f/2 STM's build quality is reassuringly good, and it's a great match for the EOS M, where the focal length changes to 35mm. Auto-focusing is quiet and pretty quick on the EOS M with the latest firmware, with the ability to instantly manually override it via the focus ring if required proving a nice touch. Image quality is generally good, with sharpness satisfactory at both the centre and the edges of the frame when shooting wide open at f/2 and very good from f/2.8 onwards. Geometric distortion is impressively low for a wide-angle lens, although there's obvious corner shading at the maximum aperture and chromatic aberrations are somewhat problematic. As the only prime lens in the fledgling EF-M lineup, the Canon EF-M 22mm f/2 STM proves itself to be a good "classic" 35mm lens that provides sharp results throughout the frame.